Welcome to PhoebsFloral.com Online Blog. Thanks for stopping by and checking out our new online blog that will show you how you can start a career in Floristry or building up your Florist Business with awesome floristry business tips and how to information to get you started today. Phoebs Floral & Gift Supplies is an online and instore wholesale company in Silverwater, New South Wales, Australia. We carry floral supplies, gift baskets, floral foams, ribbons, floral wrapping papers, and many more. If you are looking for unique Christmas gifts for your lady our friends at www.anniversarygiftideasforher.com can help you with tons of ideas. Go and check their website too. To visit us at our store in Silverwater, NSW. Phoebs Floral & Gift Supplies. 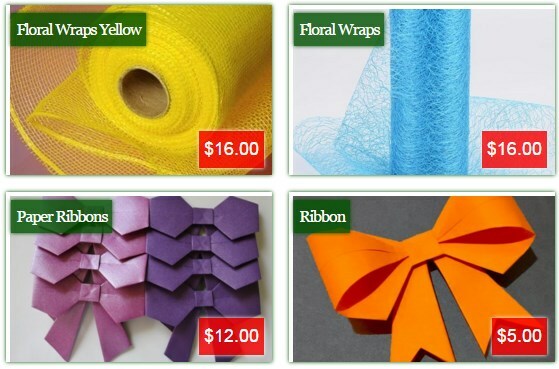 Need floral foam, gift wrapping paper or wires for your next floral design work, visit PhoebsFloral.com for great deals on wholesale floral & gift supplies.